Long before the Internet came along, these old books, treasure and old western magazines, and treasure hunting newsletters got me hooked on this amazing hobby. The Internet was a revolutionary marvel but when it comes to treasure hunting, it's really a pitiful failure. Sure, it's packed with videos and forums about modern metal detecting but it mostly dwells on smaller treasures like individual pieces of jewelry, old relics and coins, and, of course, who has the latest, most complicated, and most expensive metal detector and other modern and bothersome accessories. Don't get me wrong, I love hunting for these smaller treasures too. In fact, I go out seeking them almost every day when the weather is nice but there's nothing that gets my blood pumping faster than to read about searches for legendary lost treasures or the recovery of a post hole bank or buried and lost cache of gold and/or silver coins. The Internet is sorely lacking in these types of stories and it's almost useless for researching them. I feel a bit sorry for younger treasure hunters or those who have just gotten into this hobby, in the last 20 or 30 years, who have never been exposed to the people and the treasures that gave rise to metal detecting and "modern" treasure hunting in the first place. 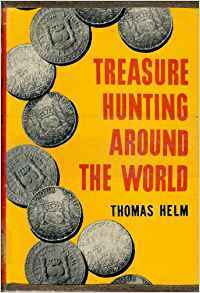 The best I can do for the younger th'ers (as we used to call ourselves) and late arrivals is to regularly tell them about or post about the good ole days of treasure hunting and encourage them to take time to look back and study the beginnings of this healthy and fun pastime. I guarantee that you'll benefit greatly from doing so. Also, visit your local library and see what books they have available on old school treasure hunting. You may be amazed at what you find and what you learn.